Microsoft Project vs. Fizure: Which to Choose for Job Cost Management? Improving project cost and finance management to gain better control over project profitability and avoid cost overrun is a high priority task for both project managers and business owners. However, nobody wants to go through an extensive software evaluation process that ends in choosing an expensive and complex system requiring additional investment, and which at the end of the day is not even going to be used by project managers. Below is a quick comparison of the widely-adopted MS Project to the modern project budget and finance management tool Fizure. Let’s see which is better in terms of job cost management and helps avoid cost overrun with the least user effort. Microsoft Project is a project management software product developed and sold by Microsoft. It is designed to assist a project manager in developing schedules, assigning resources to tasks, tracking progress, managing budgets and analyzing workloads. Microsoft Project was the company’s third Microsoft Windows-based application. Within a few years after its launch, it became the dominant form of PC-based project management software. Fizure is a project finance management software product designed to help project managers save time by managing budgets, contracts, subcontractor pay applications and invoices all in one place. A modern cloud-based system, Fizure works on mobile phones as well as tablets and computers. All in all Fizure provides an easy way for the project team to follow project budget and profitability in real time. The system of MS Project has many features, making it unsuitable for project managers who have no previous experience in using advanced project management tools. Using the tool requires strong a background in project management to smoothly use all features and capabilities of the software without undergoing a complex learning curve. Conversely, Fizure has good functionality for getting the job of managing project costs done quickly and easily. While the system does not have long list of features, they are there when you need them and allow the user to get the job done without any extra effort. MS Project requires project managers to carry out the manual task of entering contracts, updating cost forecasts, working out subcontractor payment applications, and inputting costs. Since the system does not connect with accounting, etc. there is no real time overview of previous actions, and simply forgetting to hit the ‘save’ button could mean your budget is not in sync with the project’s real costs. On the other hand, Fizure helps to improve project finance management in all areas. All documents and data is managed in one database, giving users a clear visibility of each cost account in the budget, from estimating through to contacting and up to cost management. Cost processing is simple – just forward your receipt via mobile, assign appropriate costs and submit. The budget is automatically updated and costs sent straight to accounting. Does the system meet modern software standards? Microsoft Project’s initial release was in 1984. 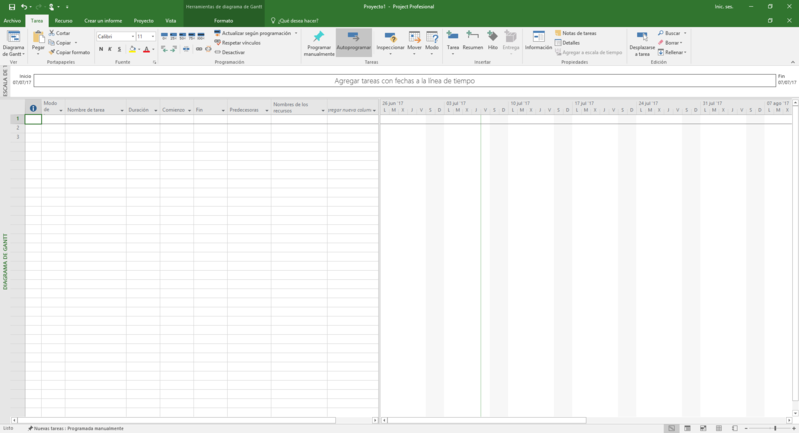 While the tool has gone through a number of revamps and improvements since then, it is at its core essentially a Microsoft Excel spreadsheet with customized reports and tables for project managers to use. The spreadsheet can be used in your computer as well as on cloud. It is a highly complex tool requiring plenty of effort on behalf of the user, and one which does not meet the modern software standards. However, Fizure is developed to help improve the day to day processes related to project finance management for project managers. Built around the “works to be done” framework, it helps improve every step of the work, eliminating the need to download files, create folders, manually update budgets, report in multiple databases, etc. It is therefore a modern tool that ultimately exists to save project managers time and hassle. Does the system connect with accounting and ERP tools? With Microsoft Project, there is no integration with external apps. The files need to be stored in file folders, the table manually updated and the data manually entered into the system. Using Microsoft Project only adds another source of reporting for project managers, and in addition, the learning curve for onboarding new team members is a long one. Meanwhile, Fizure connects with the accounting system and eliminates the need to create folders, download files and report the same information on multiple databases. Costs are entered only once on Fizure before being sent straight to accounting or ERP software, negating the need for recurring data entry companywide. MS Projects is a tool that ultimately fails to save time for project managers. It is designed to help track and manage projects on an executive level, and therefore adds just one more place on which project managers must report. Fizure is a tool built for project managers, the primary goal being to save time for its end users. No more time is spent on reporting the same information in multiple databases. The on-premise solution pricing for MS Project starts from around $800 dollars. Users need to download the table without the possibility of testing it first. Moreover, costs add up since extra effort is needed to put into management and IT teams in order to track and maintain projects. Fizure allows all users to sign up to test the tool for free for 14 days. Pricing starts from $49 a month, and there is no need for an IT team to implement and use the tool. The only requirement is that all costs need to be sent to accounting via Fizure. So which is the best tool for a project team looking for ways to improve their project finance management process? MS Project has all the bells and whistles, but is an outdated software tool that saddles project managers with an additional workload in reporting. In comparison, Fizure is an easy tool for any project team looking to improve their cost management and avoid overrun. Sign up now to test Fizure for 14 days for free!